Eagles offseason debate: Golden Tate or Nelson Agholor? While Nelson Agholor is not set to be a free agent this March, Golden Tate is. The Eagles have a decision to make, and that is whether to shell out big money for Tate, or bet on Agholor. The Eagles do not necessarily have to choose, but it would be a lot of money to spend on two players who have similar roles. The Eagles are likely trying to get the third round pick back from Tate with a deal for Nick Foles. The trade, while Tate did not necessarily fit in the offense, still won the Eagles a playoff game. Tate played 10 games with the Birds including the playoffs. 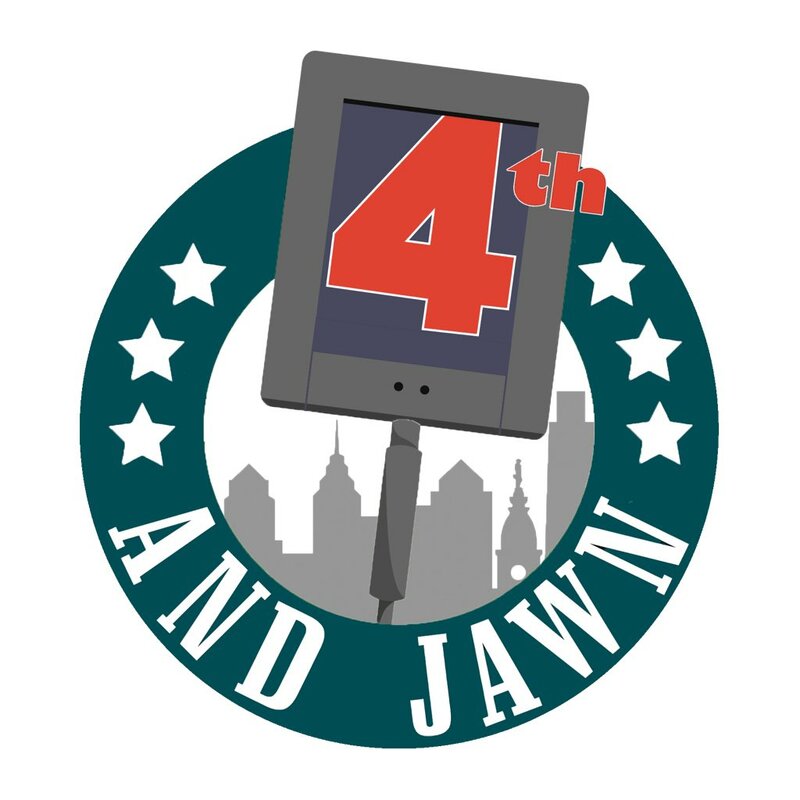 In those games, the Eagles WR had 342 yards (34.2 ypg) and two touchdowns on 37 targets. Mike Groh has been open about the difficulties of incorporating Tate into the offseason, which is you ask me is completely ridiculous. While Tate did not have spectacular numbers, he proved to be clutch when the Eagles needed him most. Ironically, the Eagles use of him likely decreased his value. He is going to still get paid, however. Teams like the Packers in need of a big “splash” will be eager to throw money at him, while teams like the Eagles might be hesitant due to Nelson Agholor. In Nelson’s first three years, he got better every season. That includes a jump from a bust to a solid WR with loads of potential. This season, Agholor took a step back. He did not have a huge decrease in yards, but it was clear he was not as comfortable on the field. A player like Nelly should have taken another big leap this year, and it’s fair to have doubts about his abilities. In a perfect world, he would have risen his 768 yard total in 2017-18 to around 850-880 in 2018-19, but sadly that was not the case. Agholor clearly had a better season than Tate, but that could be due to Tate’s lack of chemistry with Wentz/Foles. When it comes down to contracts, Agholor is probably the safer bet. Tate’s contract projection (via @Spotrac/Twitter) are 3 years, $30M. Agholor, the younger and the player with higher potential, would likely get a four or five year deal with around $10-12M in average value. Agholor clearly has more chemistry with Carson Wentz, as Golden Tate only got to play with him for a few games. In 2017-18, Wentz helped Agholor reach his full potential, showing him as a true deep threat. Nelly gave us a glimpse at that during the Eagles-Texans matchup, but disappeared after. With already a lack of cap space, the Eagles should let Tate go. Some team will throw a lot of money at him, hoping his stint with the Eagles was just a fluke. As for the Eagles, Agholor will probably extend next season and stay in Philly for a while. If he only slightly improves his yard count this offseason, then there has to be a real conversation about whether he deserves a long term investment. He has clearly capitilized on moving to the slot, and keeping Tate would only stunt his growth. In a perfect world, I’d like to see a 900 yard, 70 reception, 8 TD season for Agholor in 2019-20. 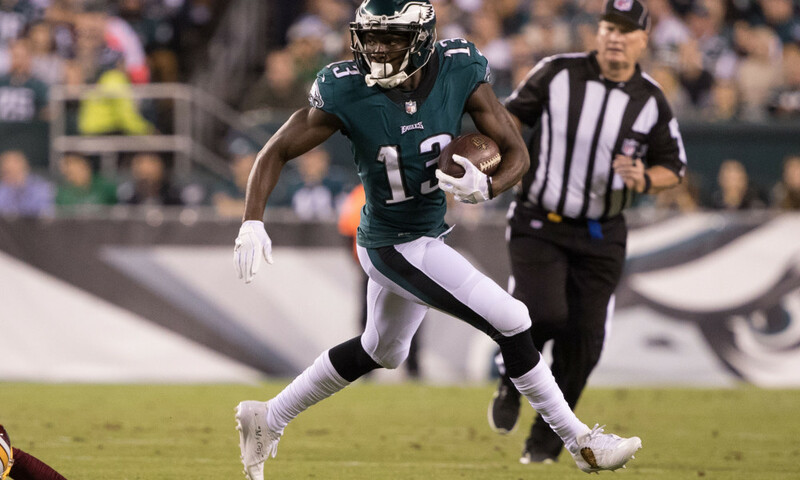 If he can connect with Wentz this offseason, Agholor can be the deep threat we need.